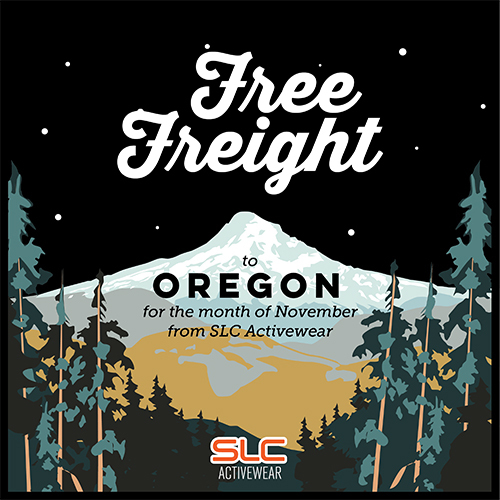 Illustrated graphic to promote SLC Activewear’s “Free Freight to Oregon” promotion. Mountain featured is Mt. Hood. 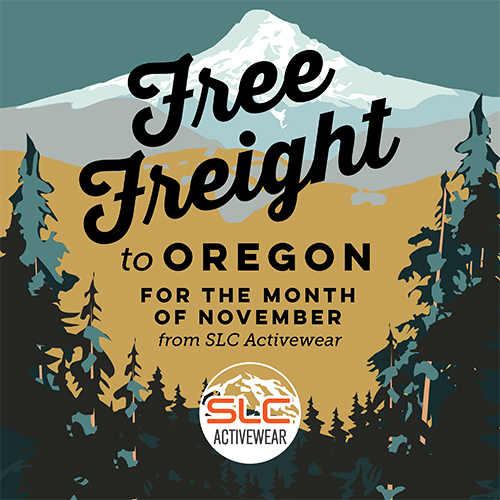 Image used both in eblasts and on social media.